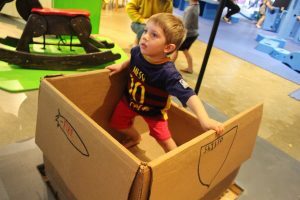 Champlain College’s Sandbox team at the Emergent Media Center (EMC) has partnered with ECHO, Leahy Center for Lake Champlain and Generator maker space to create an interactive exhibit at the aquarium. The exhibit, called “Innovation Playground” includes three of the EMC’s recent projects: Spacebox, Graffiniti, and Variance. 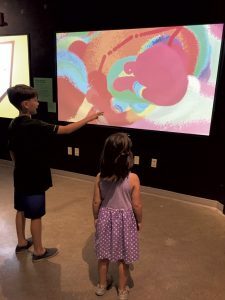 VermontBiz recently published an article about the exhibit, with information about the team and their projects, which combine learning with playing and creativity. 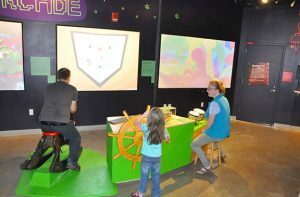 “Innovation Playground” runs through January and is included in the normal ECHO admission.